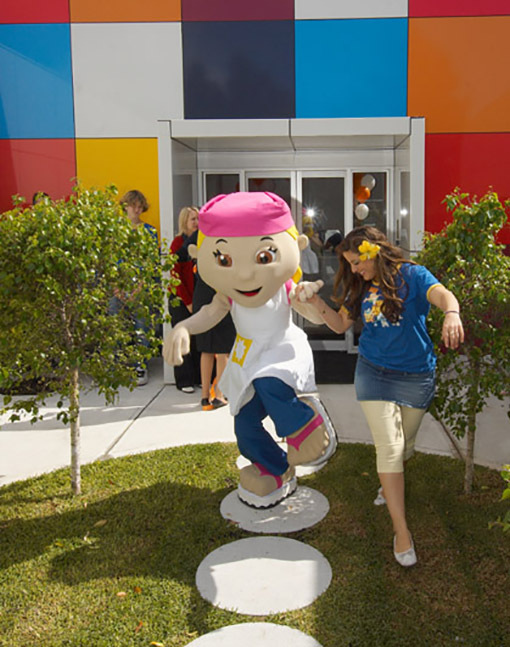 Developed by a team of Perth theatre and early childhood specialists, The Lulus Show is a fun-filled interactive learning experience. 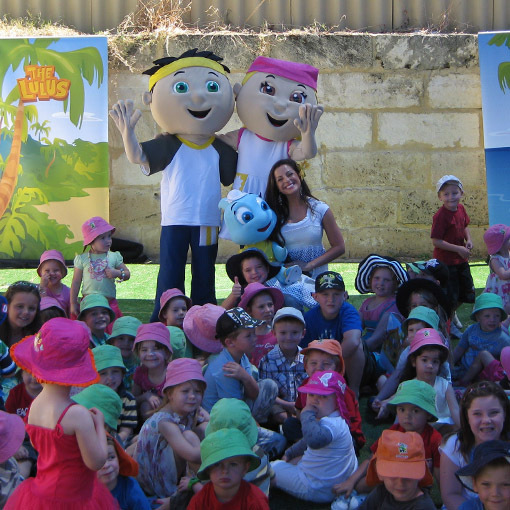 The Lulus have performed at childcare centres and primary schools throughout the Perth metropolitan area and offer many different options to suit your needs and budget – from intimate story-telling sessions to full stage shows. The Lulus can even create school incursions / themed workshops based on your requirements and around the school curriculum. We offer a range of options to suit all requirements and budgets. Prices start from just $315 (+GST) per hour. Be sure to sign up to our Fan Club to receive exclusive mid-week specials on all bookings during school terms! The Lulus’ calendar is filling fast, so to hear about our range of options or to get a quote please phone Irene now on 1300 843 585 (1300 THELULUS) or email irene@thelulus.com.au to discuss your requirements. Looking for an educational and healthy fund-raising alternative? Click here! Looking for something to make your end of year event even more memorable? Ask us about our Christmas show options! Our high-energy all-singing, all-dancing stage show is fun for the whole family and features Lu Boy, Lu Girl, Spike, Fin, and a professional host/MC. Our Christmas Show has all your favourite original songs plus we have added a dash of Christmas carols to the show to spread the festive cheer! 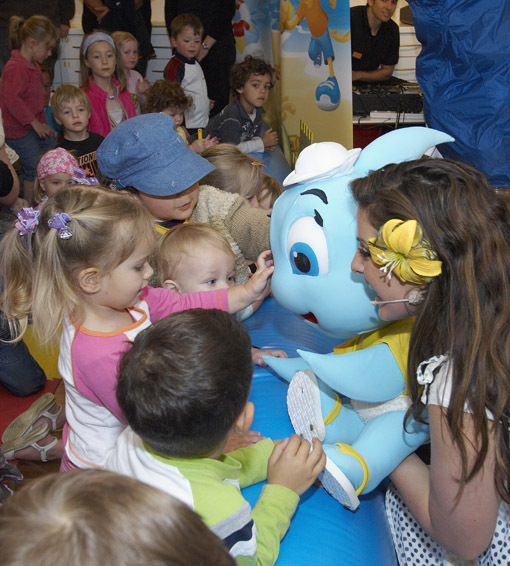 After the show, there is plenty of opportunity for children to have their photos taken with their favourite character. Christmas decorations, full sound system, bubble machine, and a special Lulu Island set will add to the festive atmosphere. We can even give out presents supplied by you or items from The Lulus’ shop upon request. Well what can I say? Yesterday was simply terrific! Thanks so much to you and the girls for putting on such an amazing show! You are the talk of the school today and Erik insisted on going wearing his Lulus shirt! We had a lot of fun and some of the mums were still here at 6pm! The boys said in the car this morning ‘we are going to have the Lulus again at next year’s party because they are wonderful and now we know some of the songs and dances’…so there you go. Brilliant! Fab! Wonderful! 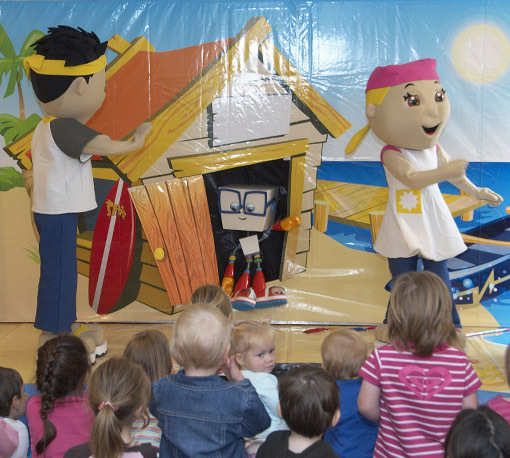 The Lulus are Perth-based children's entertainers who perform stage shows, visit schools and childcare centres, host birthday parties, and entertain at shopping centres, festivals and other special events all over Western Australia.